An amusement park, a storage facility and a dollar store are all within walking distance of the Block Institute on a near desolate stretch of space on Bay 44 street and Shore Parkway in Brooklyn. It’s the last place you’d expect to see an Off-Off Broadway performance. Nevertheless, “The Block” is the home of the Genesis Repertory, a theatre company focused on the development of classical theatre in Brooklyn. The company performed “Romeo and Juliet” last spring and just finished a run of “Guys and Dolls” this month. With less grants and smaller budgets, it’s never been more difficult to put on a production in New York City. This is a problem that many independent theatre companies face today. Genesis is different however. They do it all without a dime in their expense account. Void of government grants after they left Manhattan a few years ago, the troupe has found a way to get almost everything for nothing. And they’ve still managed to garner solid reviews for their work from NYTheatre.com and the The New York Times. Unlike many Broadway and Off-Broadway productions, which operate with performing budgets, Off-Off-Broadway productions typically live fundraiser-to-fundraiser, week-to-week and hand to mouth. More than two thirds of the productions cost under $20,000, according to a study performed by the New York Innovative Theatre Foundation. Even more incredible, the company has secured the scenery and costumes, two of the most important facets of any theatrical production for this production for little cost or for free. The HFP Players in Staten Island, another local theatre group, provided Genesis with the lighting for their show, free of charge. The Brooklyn Association for the Performing Arts gave additional lighting and provided the set and curtains. The TDF costume collection in the city lent out the costumes – also free of charge. In addition to being thrifty and taking advantage of every opportunity, there’s an equal amount of personal sacrifice that goes along with it all as well. Mary Elizabeth Micari, Genesis Repertory’s mother hen and artistic director, had to personally fit every cast member over the course of one afternoon. The relationships Michaels and Micari have developed over the years have helped them cast actors and contact agents to book performers as well. Working in public relations, Michaels is well aware of the added exposure and contacts on social networking websites such as Twitter and Facebook. Many of the actors have just begun to look for opportunities outside of community theatre and will work for experience rather than pay. Others are trained professionals who receive a stipend from Actors Equity that pays for their travel expenses and other small incidentals. There are certain things the troupe has to pay for though. A director and a musical director, even for a small production, can run anywhere from $1,500 to $5,000 each. The theater charges $15 to $18 a ticket and can hold up to 150 people a night. The company has to sell about half the tickets to all six performances in its upcoming run just to break even. Rather than bicker and complain about their lack of funds, Genesis has done some creative things to keep their theatre alive and interesting. For instance, their performance of “Guys and Dolls” has a smaller cast and is more burlesque and less cartoony than the original. They also raise money with an acting school taught by company member John Stillwaggon. For $300.00, students can learn the basics over the span of a few weeks. 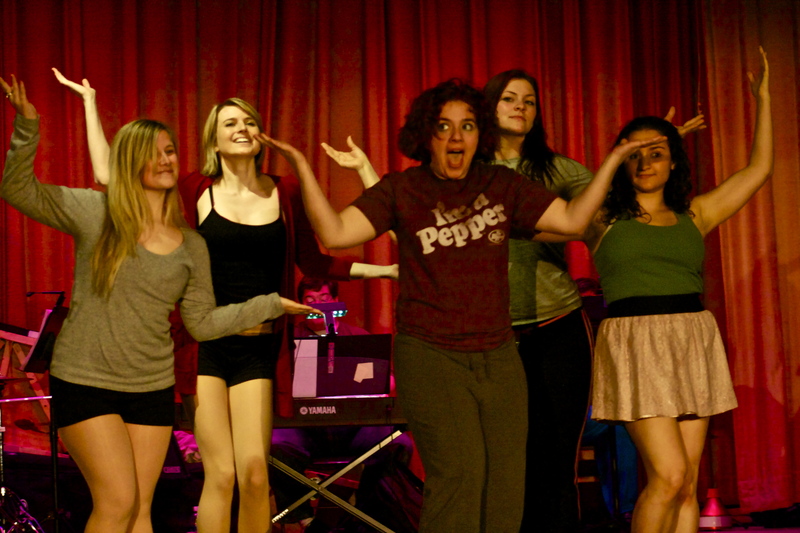 Afterward, the students perform in front of an audience for a weekend. Genesis charges admission to the event as well. Through this type of ingenuity and hard work, Michaels, MiCari and Kahaly have helped keep theatre in Brooklyn alive.